The new PS4 trailer shows how console looks like! The 21st of May is an important day for many gamers, because this evening we will finally see the presentation of next-generation Xbox - Xbox Infinity. But the main Microsoft's competitor in this area - Sony - doesn't want to stay aside today, so in the morning the company published very exciting PS4 trailer, that demonstrated how Sony's console will actually look like. Together with PS4 trailer the developers published an information that the official reveal of console's appearance will take place on the 6th of June during the personal Sony's conference just before E3. But real fans can't wait for so long, so the sharp-witted Reddit user Albino-Zebra assembled separated parts of the future console and got a pretty nice picture. 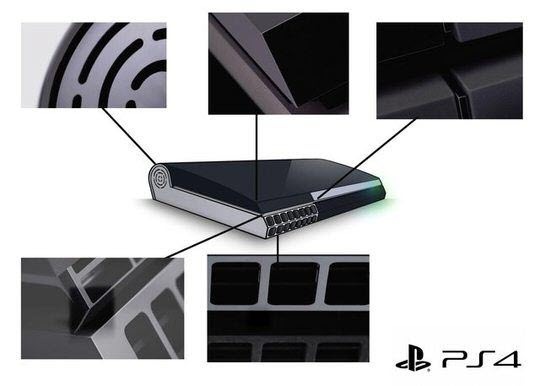 And what do you think, how PS4 will actually look like?